He starts his long trek through the Amazon jungle. It is said that the Koh Ha rabbits foot is kept in a huge 1000 year old temple in deepest and darkest part of the Amazon jungle. It has taken people months even years to just get a glimpse of the temple. And then he will have to dodge a number of life threatening traps designed to keep anyone from stealing the rabbits foot. But he will do anything to find that foot. So far the mission is off to a great start waking up every morning to find snakes slithering over him, mosquitoes biting at his skin ravenously and coming near to having his head bitten of by a hungry lion. But somehow he still seems happy. To be honest I think he’s going a bit mental, still if he hadn’t done all of this I wouldn’t be telling you this story. Anyway every day he was getting closer and closer finding the rabbits foot. Hi Guys! Tuesdays ( if you haven’t already read the title above ) is all about a book I have been writing for a wee while. Every Tuesday I will post another chapter of my book until the book is done then I will start writing another book . I have been reading lots of other blogs and one of the things I love the best is the short stories. If you are writing short stories too please let me know and I can pop along to your blog. Would be also fab to hear what you think of my story and any suggestions just leave in the comments. Thanks and let’s get reading!! There was a man who travelled the world. And this man was called Edward Brown. As I said he travelled the world and went on many adventures. But this story is about one of his greatest ones. Let us start from the beginning. 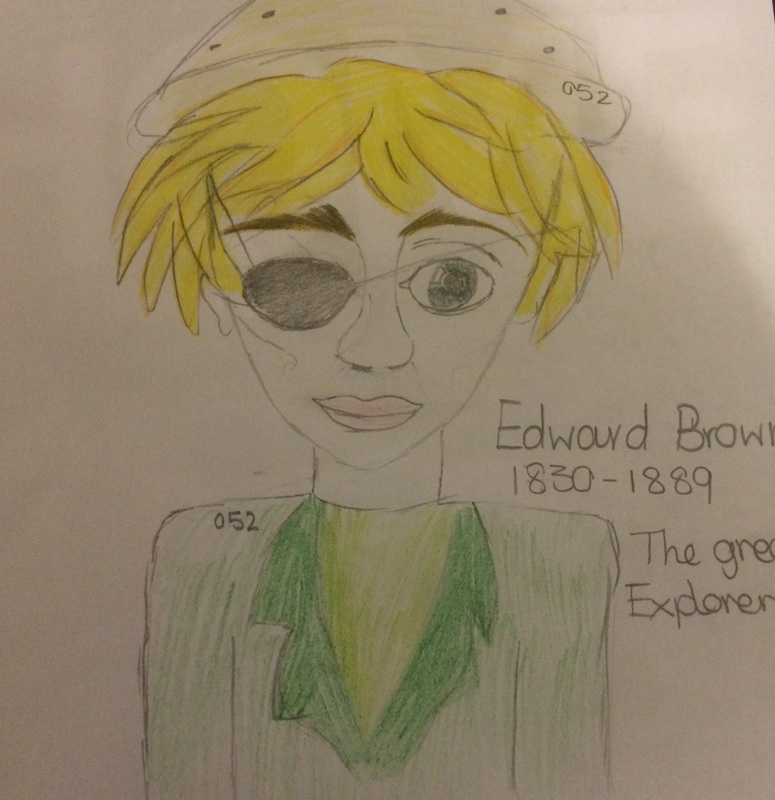 Edward Brown is on a mission to find the lost Koh Ha rabbit foot which as legend has it will bring you ever lasting wealth,good luck and eternal life. Suddenly as he is dropped from the helicopter he finds himself standing in the middle of the vast Amazon jungle surrounded by an erray of wild animals,gigantic trees and lots of mud. As he reaches into his pocket a huge snake springs towards him and with one mighty swipe of his sword he kills the beast. Again he reaches into his pocket and brings out a map. This map was given to him by an elderly man who he had helped by giving him some bread and cheese. Anyway let’s get back to the story. This map was going to lead him to the rabbit foot.